Please register by October 15. 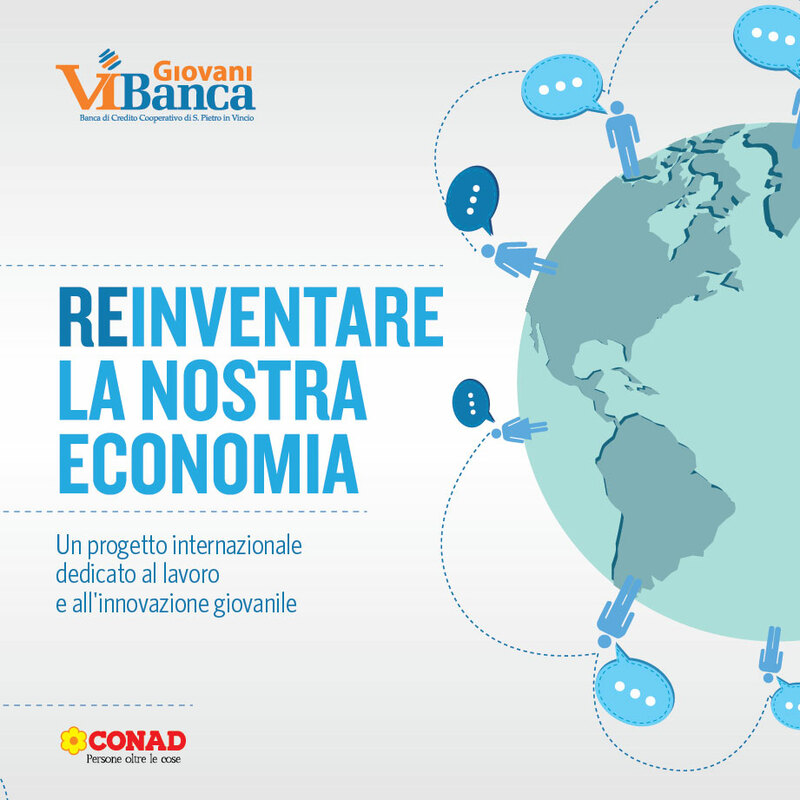 An international project dedicated to work and youth innovation organized by Giovani ViBanca with the participation of Hochschule Osnabrück – University of applied Sciences (WISO) and with the decisive contribution of Conad. STEP 1) Construction of a workshop aimed at young people of the territory of Pistoia aged between 18 and 35 years, and a group of university students from Germany for the occasion by the Hochschule Osnabrück – University of applied Sciences (WISO). The cycle of meetings, led by the Yunus Social Business Centre, involves the construction of a training program focused on the themes of social business, put in place with the participation and the meeting of young people from different economic realities. Meetings will be on 17 – 22 to 24 October and 6 November, at the auditorium of ViBanca in Pontelungo, and will regard the participation of approximately 25 young people from the area of Pistoia and 37 German students. 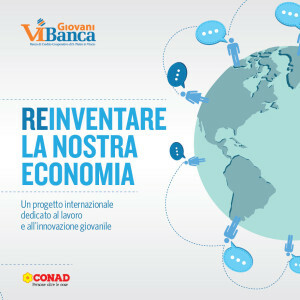 The first three lessons are aimed at young people of the territory of Pistoia from 19:00 to 21:00. Meanwhile, the students of Osnabrück will attend a corresponding period of training in Germany. The laboratorial lesson (in English, those who know little about the language shall not be afraid: it will be primarily a laboratory and not a lecture!) on 6 November will host both groups and will be articulated in a day. STEP 2) The meeting and the implementation of joint activities between the two youth groups during the week of residence for German students in Pistoia, November 4 to 10: a workshop on 6 November at Villa Rospigliosi in Candeglia, where German students will be accommodated; a journey by private bus, led by experts in the promotion of the territory, at the contemporary art collection of Villa La Magia, the Villa Medici at Poggio a Caiano and the esate Contini Bonacossi in Capezzana; a lunch at the estate Contini Bonacossi in Capezzana with tasting of local wine and olive oil; a dinner hosted by German students to the Italian participants at Villa Rospigliosi in Candeglia; a party at the end of the stay of the German students, on the evening of Saturday, November 9, at Villa Rospigliosi in Candeglia. Fabrice Leclerc, business innovator and consultant of international repute, former speaker at Ted Lausanne. Simone Cipriani, the UN official in charge of the ITC Ethical Fashion Project and an expert in international cooperation in developing countries. Paolo Sardi, responsible for strategic planning of Conad del Tirreno.